For full data identified with our Delivery related arrangements, please see our Delivery data page. Every botanical item are liable to availability. In case of any supply troubles or if the blooms we have gotten from our cultivators that are expected to make up your request don’t meet our brilliant norms, we maintain all authority to substitute any item with a substitute result of a comparative style and proportional (or more prominent) worth and quality. Where this is essential, and the substitution is noteworthy, we will attempt to get in touch with you by means of email. On the off chance that you wish to talk about the substitution we have made, please contact our client administrations group. If you don’t mind take note of that foliage and sundries (counting vases) might be substituted without notification. In the event that we can’t get in touch with you by means of the contact strategies gave before the time that we make up your request, we will expect that you acknowledge the substitution. 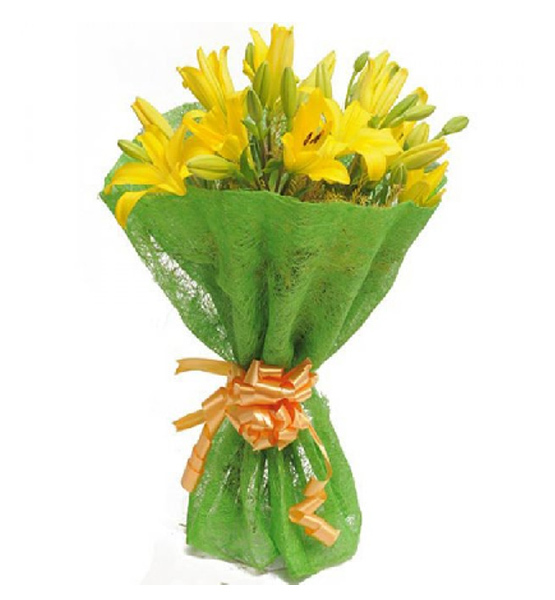 All following day messenger conveyed blooms are dispatched from our focal creation office. Different items are dispatched direct from suppliers. Deliveries are typically made between 7 Am and 1 Am. Be that as it may, amid occupied periods, these Delivery times may vary marginally, and we maintain all authority to convey between 6 Am and 2 Am. If nobody is accessible to get the Delivery, our messenger will regularly take after any Delivery guidelines gave, leave the request safely or with a neighbor and leave a Delivery card expressing the thing’s area. If they can’t leave the request safely, the driver may give back the item(s) to their neighborhood warehouse and leave a Delivery card giving the beneficiary the alternative to call to reschedule Delivery or gather the request from the dispatch’s nearby Delivery terminal. In the event that no move is made, the messenger will typically re-endeavor Delivery the accompanying working day. If it’s not too much trouble take note of that client need to pay additional for re-Delivery and afterward endeavor will be made. Under ordinary conditions, we get dispatch and Delivery warnings from our messenger. We then utilize that data to keep you educated of the Delivery advancement of your request by means of email and/or SMS message. In any case, this administration is not ensured. Likewise, there might be some deferral between the event of a Delivery occasion and us accepting notice. In the occasion of a non-Delivery, clients are typically qualified for a discount or redelivery. For Deliveries to expansive organizations, healing centers, colleges and so forth, Deliveries will ordinarily be made to the gathering or post-room. Delivery to the named beneficiary is impractical to these sorts of locations by and large. It would be ideal if you see underneath for more data. If the location gave is off base or deficient or if the Delivery is cannot, we claim all authority to energize to 100% of the first request worth to re-convey to the same or a substitute location. We don’t promise to have the capacity to take after Delivery guidelines. For some country ranges or zones where our flower specialist system does not have a flower vendor, we will most likely be unable to satisfy the request. For this situation, we will get in touch with you offering a full discount or a 24 hour Delivery satisfied from our focal creation office. Deliveries are accessible from Monday to Saturday. Deliveries are typically made between 7 Am and 1 Am by a flower vendor neighborhood to the beneficiary location. Be that as it may, amid occupied periods, these Delivery times may contrast somewhat, and we maintain whatever authority is needed to convey between 6 Am and 2 Am in remarkable conditions. In the occasion of a non-Delivery, clients are typically qualified for a refund (halfway refund /derivation of handling expenses) or redelivery (need to pay re-Delivery charges). In the occasion generally Delivery on the picked Delivery date, we will regularly discount the Delivery charge (if paid additional for fix time or midnight) connected with your request. For Deliveries to expansive organizations, doctor’s facilities, colleges and so forth, despite the fact that our flower specialist’s driver will attempt to convey straightforwardly to the beneficiary, this is not ensured. Now and again, it might be important to leave blooms with the gathering or post-room. It is then their duty to guarantee that the blooms achieve the beneficiary, Please see beneath for more data. If the beneficiary location gave is off base or inadequate or if the Flowers are won’t, we maintain all authority to charge up to 100% of the first request quality to re-convey to the same or a substitute location. We don’t promise to have the capacity to take after Delivery directions. In the occasion of a Delivery issue, in the event that we can, we will attempt and contact the client to attempt to determine the issue. In uncommon conditions, our drivers can’t convey a request. This might be because of issue with the Delivery vehicle. We guarantee that these events are minimized, yet if we can’t convey the request attributable to conditions that are inside our control, we will get in touch with you promptly by means of email or telephone to mastermind a redelivery and discount the first Delivery charge. We maintain all authority to give extra pay as a markdown off a future buy from www.ChandigarhFloristFlowers.com. No other type of pay is acknowledged. We can’t be considered in charge of fizzled Deliveries that outcome from an issue with the location and/or postcode you give at the season of request position, if the Delivery was denied by the beneficiary or the way that the beneficiary no more lives at the location gave. We are not in charge of some other expenses brought about by the client because of fizzled Deliveries. Deliveries to organizations, doctor’s facilities, colleges…..
To guarantee Deliveries are effective, we suggest picking a coordinated Delivery choice particularly amid pinnacle periods (Christmas, Valentine’s Day, Rose Day and Mothers Day). In a few conditions, for instance, when conveying to some work locales, doctor’s facilities or colleges, we will most likely be unable to convey the Flowers specifically to the planned beneficiary. It would be ideal if you take note of that these conditions are outside our control. For this situation, we will convey to the gathering region or post room and (where conceivable) acquire a mark from the secretary (or proportionate). This mark will be our record of Delivery. Deliveries to clinics are regularly dangerous as patients move from ward to ward, or are released. Moreover, numerous doctor’s facilities don’t acknowledge Flower Deliveries because of wellbeing and security confinements. Because of the extent of college grounds, it can regularly be hard to find beneficiaries at colleges. We are thusly not ready to convey to beneficiaries themselves and will dependably convey to the college post room or gathering. If it’s not too much trouble guarantee that you sufficiently incorporate data for the post room/gathering staff to have the capacity to find the proposed beneficiary of the Flowers. We are not at risk for the non-Delivery of blooms to beneficiaries at colleges as we have no control of the Delivery once it achieves the post room/gathering. On the off chance that you wish to request Flowers for Delivery to a place of work, we suggest that you utilize one of our planned Delivery administrations (where accessible) to guarantee Delivery is made inside available time. If our standard Delivery alternative is decided for a place of work and a Delivery between 10.00 am and 6.30 pm falls flat attributable to the beneficiary not being accessible, or the business being shut, we won’t acknowledge any risk for the non-Delivery and maintain whatever authority is needed to charge an extra creation and Delivery charge for any ensuing re-delivery. In the event that you choose to wipe out the request as opposed to organizing a re-delivery, we maintain whatever authority is needed to deduct a cancellation expense from the discount esteem.